FlightSafety International is the world’s premier professional aviation training company and supplier of flight simulators, visual systems and displays to commercial, government and military organizations. The company provides more than a million hours of training each year to pilots, technicians, and other aviation professionals from 167 countries and independent territories. 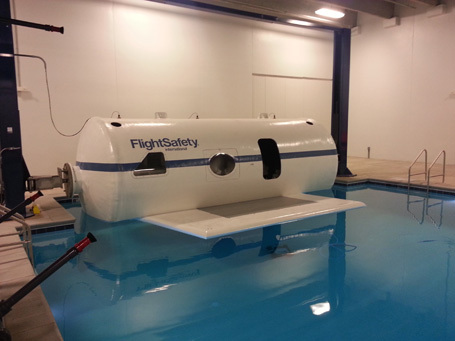 FlightSafety added a newly expanded and renovated Learning Center that offers a state-of-the-art facility for flight crew emergency training. This includes a 1,500 sq. 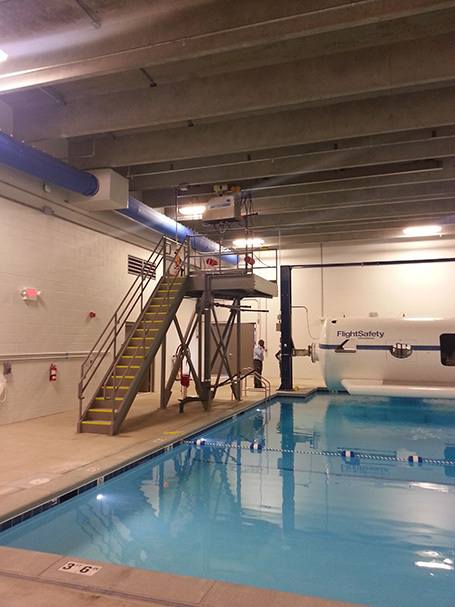 ft. pool for sea survival training, a full scale dunker, and a hoist used to simulate being rescued from water by a helicopter. It also features a full scale aircraft cabin trainer equipped with a visual system for emergency and cabin service courses.